How To Export Contacts From Your Android Device To Your Google Account:- Your tech-savvy friend took your phone for experimenting and ended up formatting it during the process? Well, if you have had no time to backup your storage and contacts, everything would be long gone by then. Phone’s storage is something that you can never fully trust. Anything could result in you losing all your valuable contacts to some stupid mistake. So is there a solution to backup all your contacts to somewhere such that they can be restored even after a terrible loss of data? Of course, there is. Let me introduce you to the world of Export and Import. 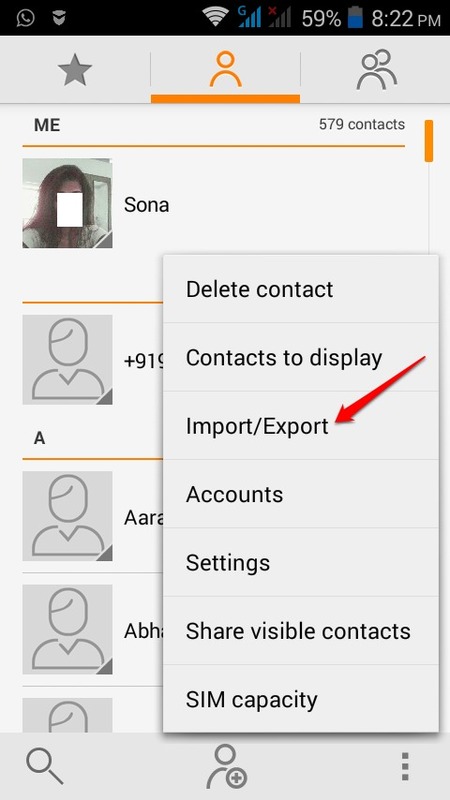 You can successfully export/import your contacts from your android device to multiple places. One such reliable place is your Google account where everything will be safely stored. Dive into the article to learn how to copy your phone contacts to your Google account with a very few number of steps. 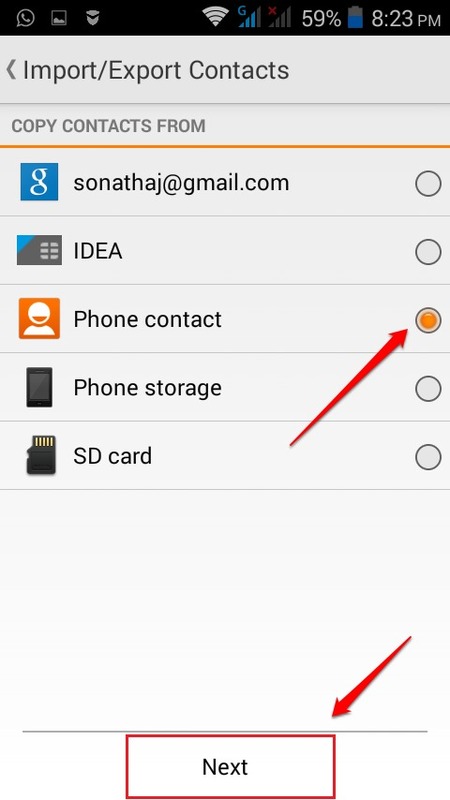 Open the Contacts app in your Android device. Now click on the 3 dotted icon at the bottom left corner of your screen. From the context menu that appears, find and click on the option named Import/Export. Now you will have the option to copy contacts from one of the storage areas. If all your contacts are saved in your Phone contact, you can check the radio button coreesponding to the Phone contact option. Once you have selected where to copy your copy contacts from, hit the Next button. In the next activity, you get to choose where to copy your contacts to. 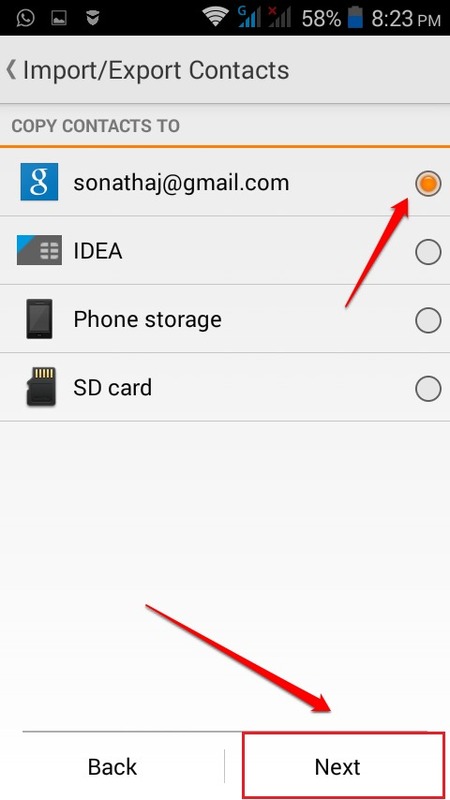 Choose your gmail account as shown in the screenshot given below to move your contacts to your Google account. Select the contacts that you want to copy to your Google accout. 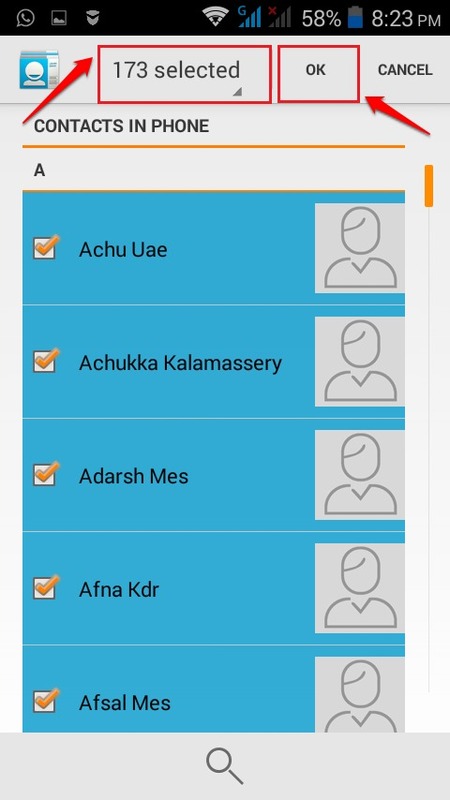 You can use the Select all feature to mark all the contacts for copying. Once you are done, hit the OK button. That’s it. This should do the job. If you have a decent internet connection, your contacts will be copied to your Google account in a matter of seconds. Once you get notified about the successful copying of contacts, login to your Gmail or any other Google product to see if everything worked. Once you login to your Gmail account, click on the drop down menu to discover an option named Contacts and click on it as shown in the screenshot given below. There you go! You can now see your contacts all neatly arranged in your Google account just like that. Let all the worries about losing your contacts rest forever. Now that you know how to copy your phone contacts to your Google account, you can easily restore all your contacts using a simple import from your Google account. Hope you had fun reading the article.